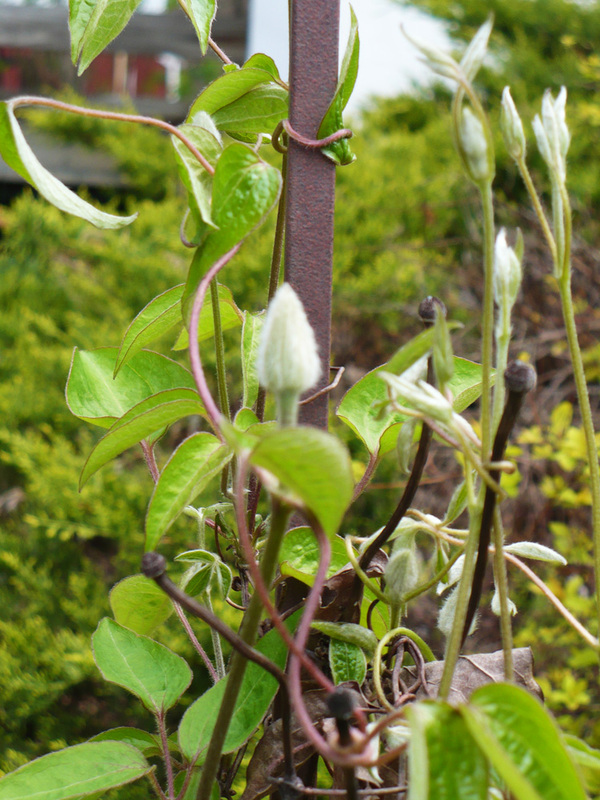 So excited today to see the buds forming on my clematis vine! 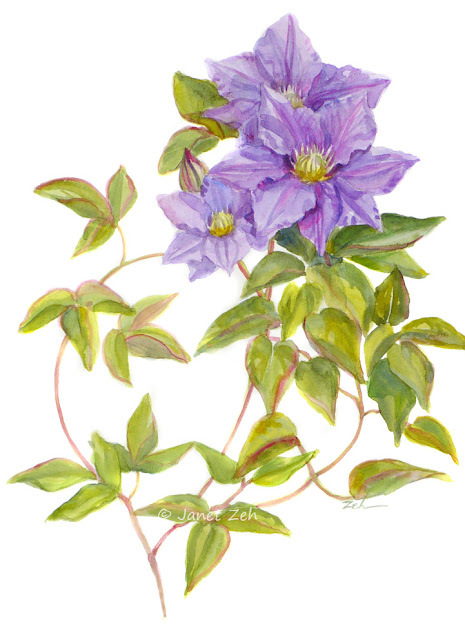 This particular clematis, a pale purple variety, has not been easy to grow. The vine is delicate and has taken a long time to establish. But each year, there are more flowers to show for my patience. And they are so pretty when in bloom! 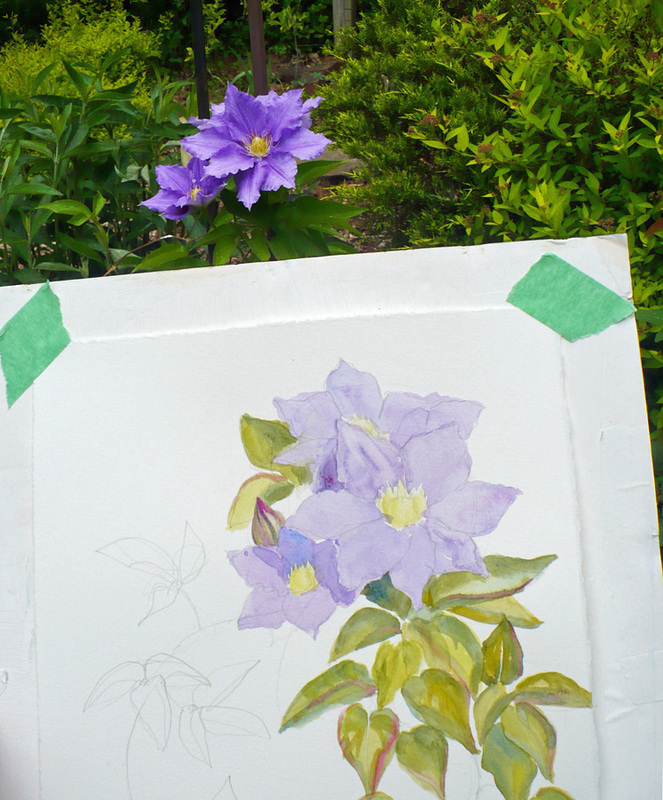 They are such pretty flowers, perhaps I'll paint a companion piece when the buds bloom this year. I stumbled on your blog art page today. 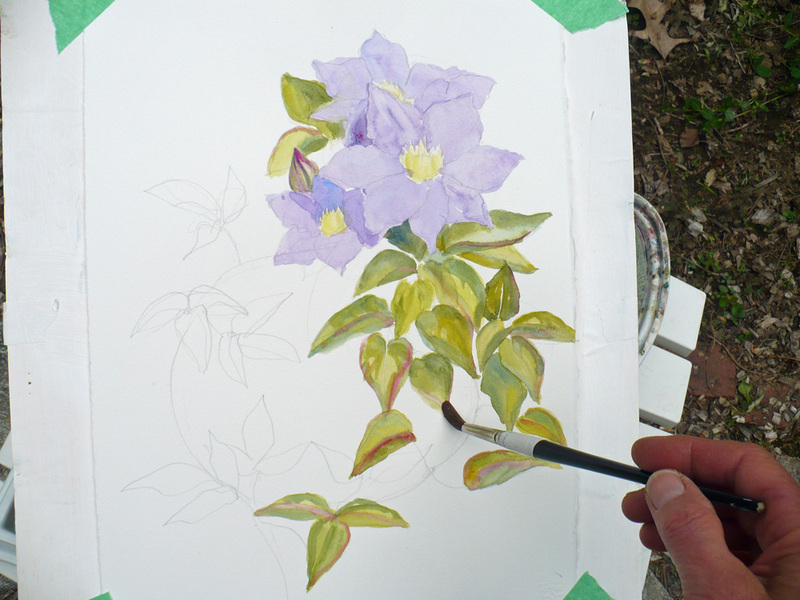 The way you are applying water color and the lends the wonderful results. Thank you Julie - so glad you like it. I loved how this painting turned out.